This is properly one of the easiest and delicious desserts you can make in your kitchen – this is chocolate-filled raspberries. 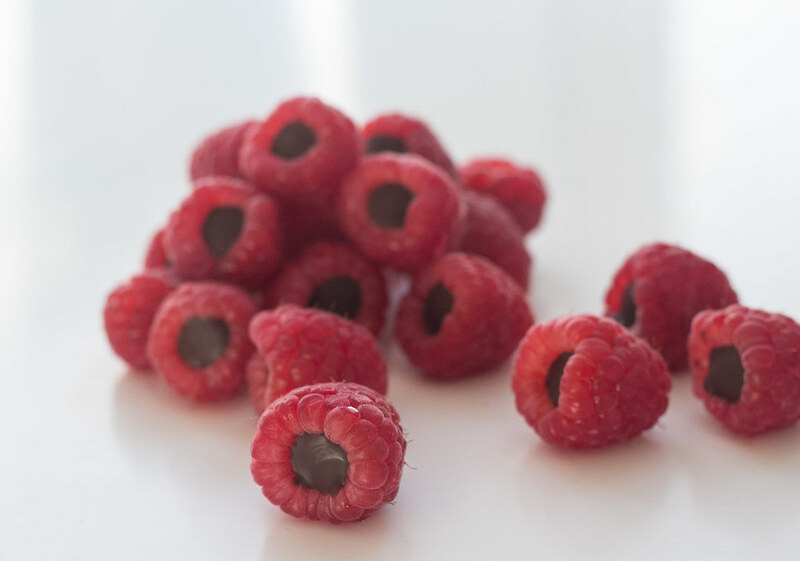 Chocolate filled raspberries are super easy to make and you only need two ingredients; Raspberries and dark chocolate. 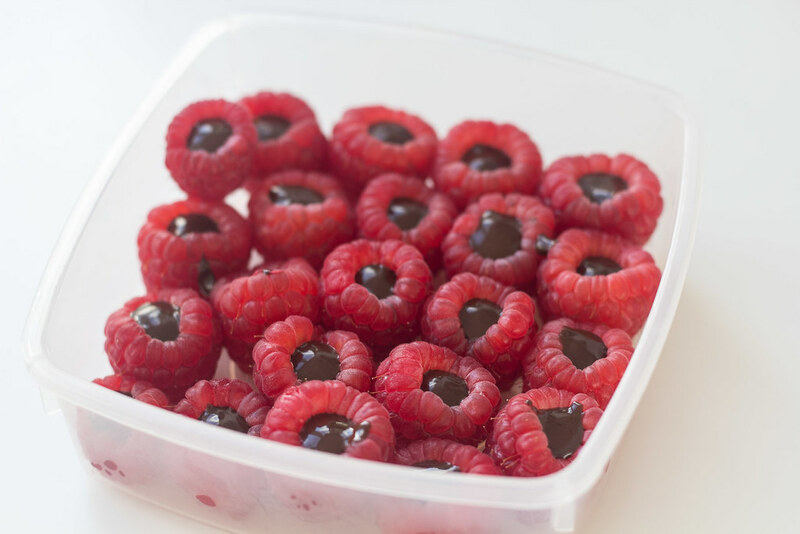 Start by rinsing the raspberries under fresh water, let them dry and then filled them with molten dark chocolate. In this recipe we have used dark chocolate. However, you can also use white chocolate, milk chocolate or perhaps even caramel if you like that. 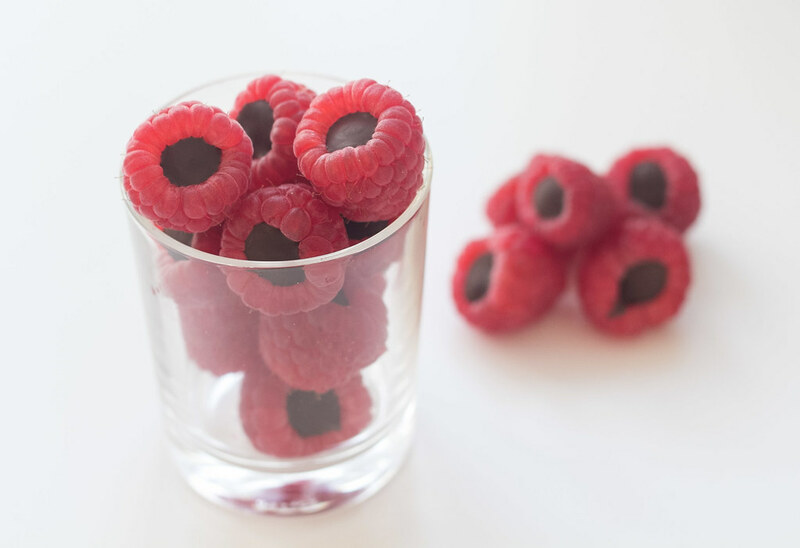 You personally prefer a rich dark chocolate; this goes great together with the taste from the raspberries. 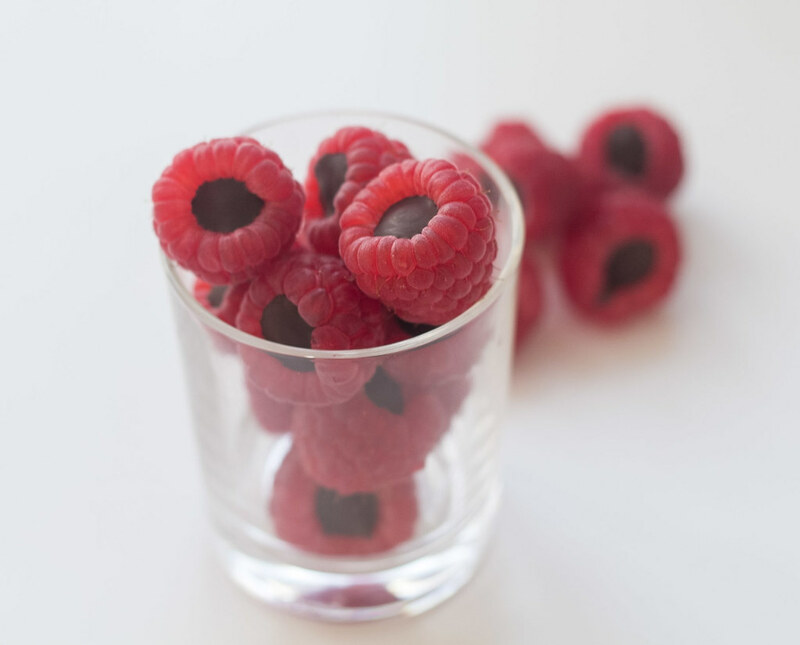 These bit-sized raspberries are perfect when you are hungry for a small and healthy sweet treat. You can serve them for all kinds of parties, valentine or for a Friday night at the TV. 1. 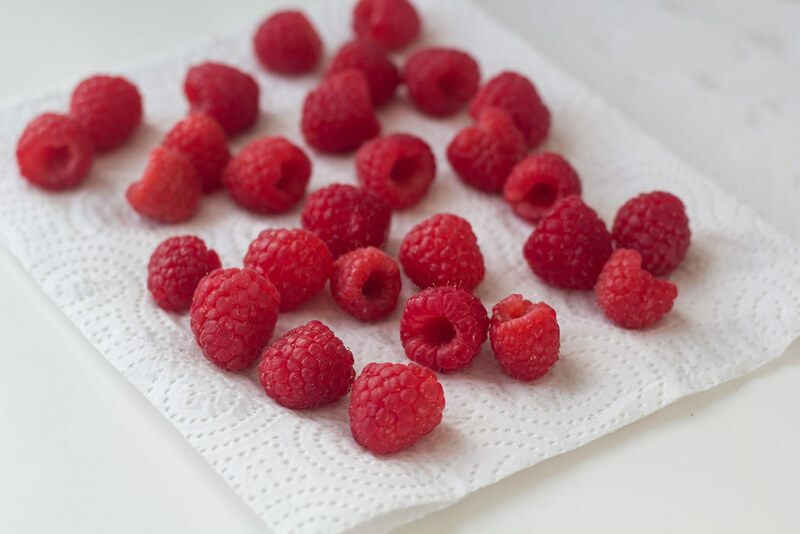 Rinse and clean the raspberries. Leave them to dry on a sheet of paper towel. 2. 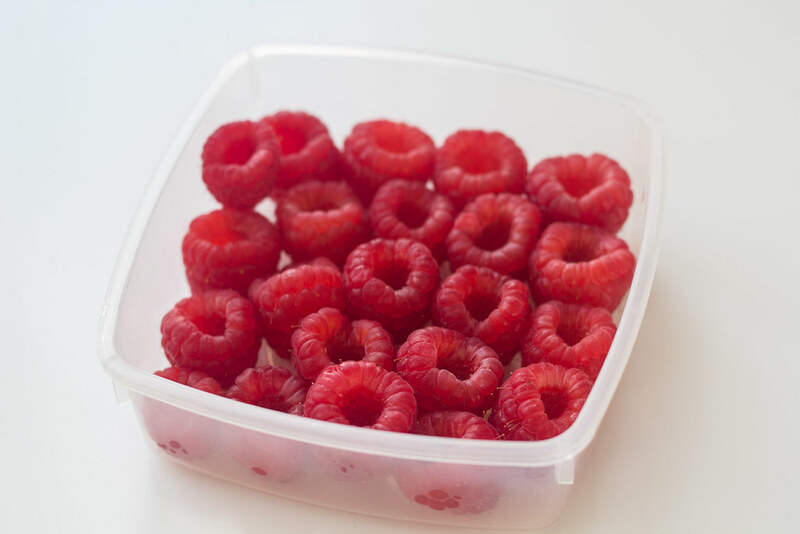 Place them in a small plastic container or bowl so that the holes are turning upwards. 3. 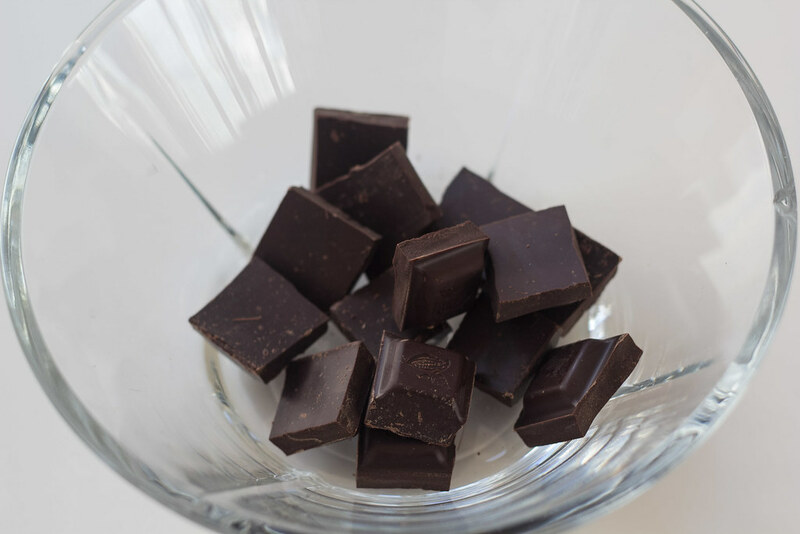 Melt the chocolate in a water bath or on low heat using the microwave. 4. 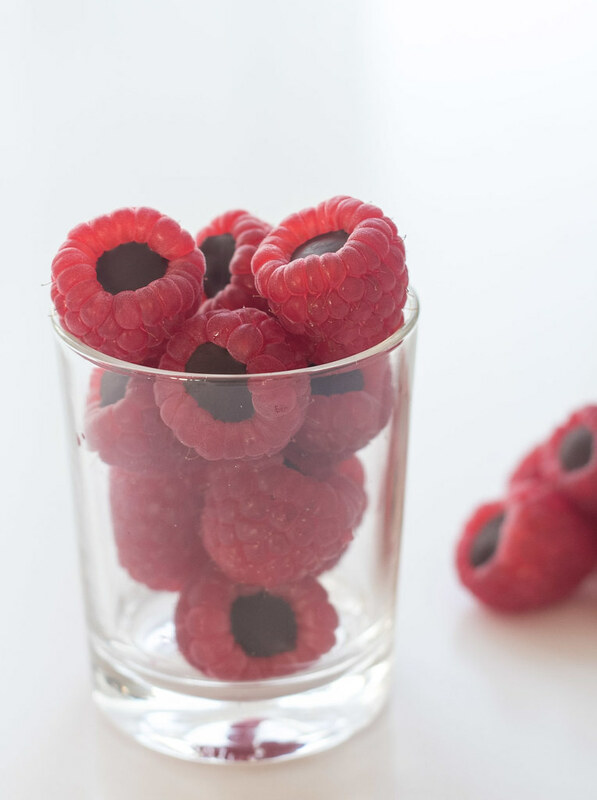 Using a tea spoon; gently fill the holes in the raspberries with the chocolate. 5. 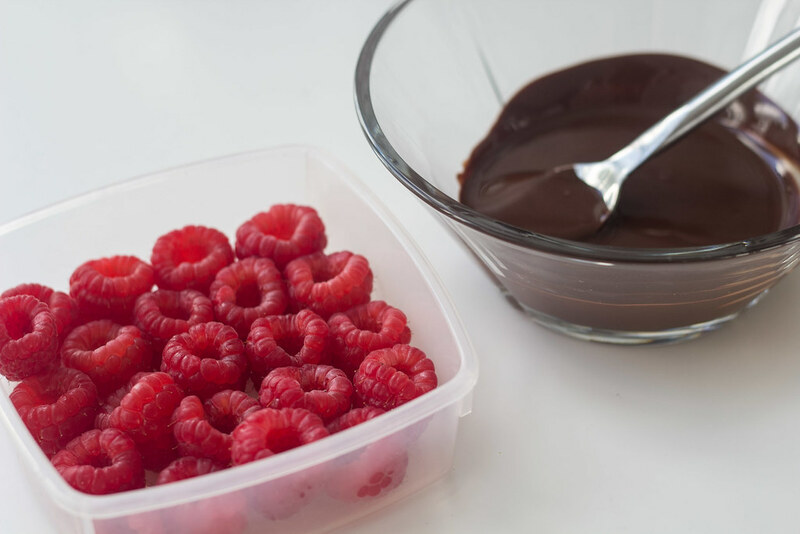 Let the raspberries and chocolate cool in the refrigerator for a while. 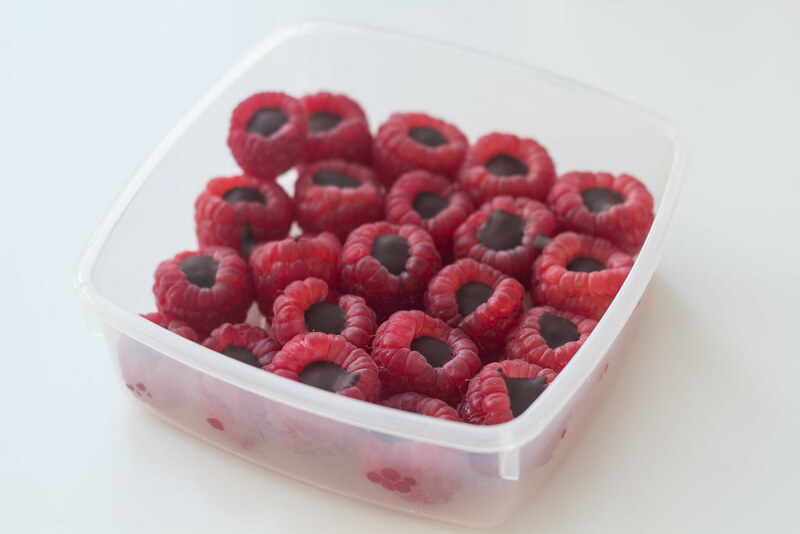 Tip: Keep the chocolate filled raspberries in an air tight container to preserve freshness. I am sure it was a lack of patience on my part… I wasn’t able to make mine so clean. They were delicious. I mixed milk and white chocolate together. Everyone received a cup of love for the day.